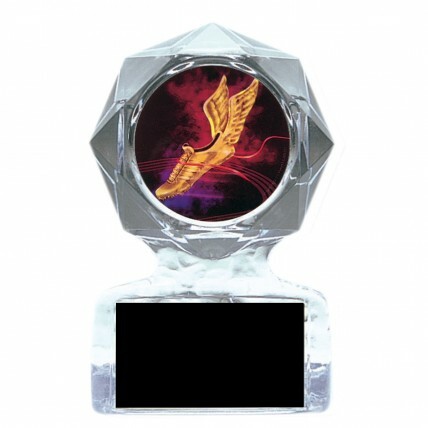 Award our Winged Foot Track Acrylic Trophies to your track and field winners! Made of crystal clear acrylic, these trophies feature a 2" full-color insert of a winged track shoe. 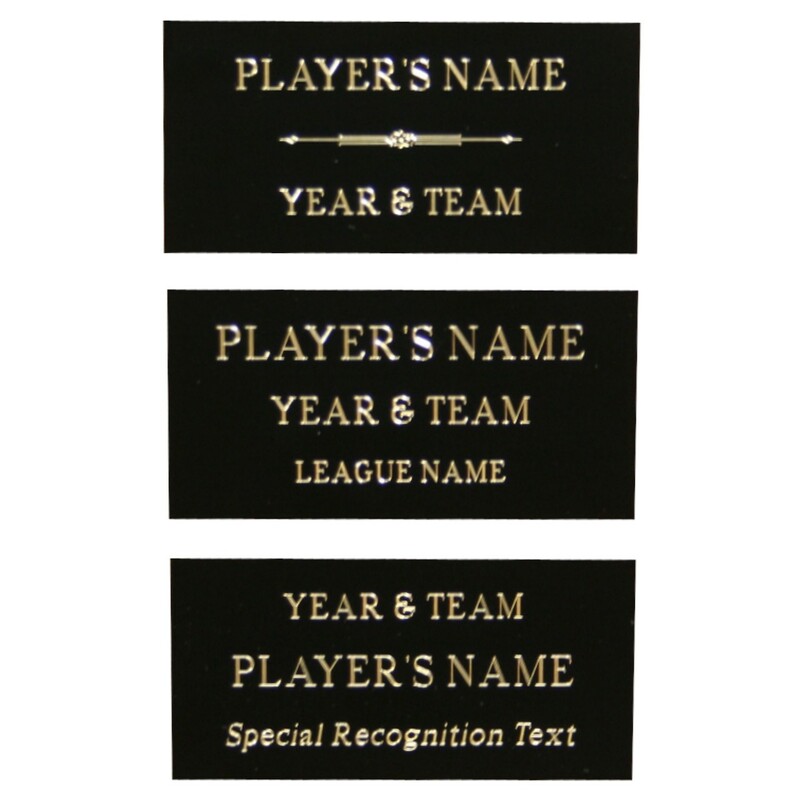 Price includes three lines of engraving.